Wales Captain, Abi Welsford has this week announced her decision to retire from International hockey; a decision she’s not taken lightly. “I’ve been contemplating retiring for a while now, and started to think more seriously about it leading up to the Home Europeans in Cardiff. But after that tournament I wasn’t 100% decided on what to do and I didn’t want to regret retiring too early, so I decided to stay part of the programme and literally take each squad weekend at a time to see how things went. Although I absolutely love being part of the team I came to the realisation that the enjoyment had gone for me personally and it was last Sunday when I finally found peace with the decision that I was ready to stop playing at this level”. Welsford, who has amassed 141 caps has seen a sporting career span nearly two decades after joining the Wales squad in 2003. Earning her first cap that same year during the Celtic Cup held in Cardiff, Abi has been a fierce competitor for Wales as well as an inspirational role model both on and off the field. These qualities saw her named captain in 2013, an honour she has held to this day. 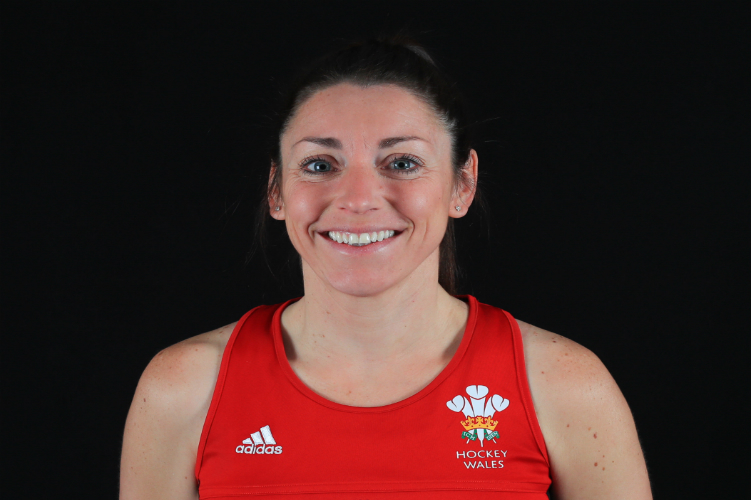 In her time, Abi has captained Wales during both the 2010 Commonwealth Games in Delhi and the 2014 Games in Glasgow, an incredible feat, although she states earning her 100th cap in Lille in 2015 was her favourite sporting moment. During the European Championships II held in Cardiff this summer Abi sensationally broke the record for most caps held by any Welsh female hockey player, alongside fellow team mate Leah Wilkinson. With 141 caps apiece, they both overtook Wales legend Anne Ellis’ tally of 138. Whilst representing Wales on the International stage, Welsford has also been working full time as a P.E. teacher for Brynteg Secondary School; something she explains has been difficult to juggle. “It’s not easy to be involved in an international programme and it takes a lot of hard work both in squad weekends, but mostly daily, you always have to make sacrifices and the right choices to try to live the life of an international athlete as much as possible”. “The greatest tribute I can give about Abi is that she has been the very embodiment of all of our team values in the time that I have known her, and I have no doubt for a long time before that. As a group that take our values seriously as a way of ensuring we are demonstrating positive behaviours at all times, Abi has been a role model to all players under her leadership and has certainly led by example. On and off the pitch she has played a key role in what has been a successful year in 2017, which started with a very positive World League 2 performance in Kuala Lumpur and ended in a memorable home Europeans where Abi herself jointly broke the Welsh women’s caps record with Vice-Captain Leah Wilkinson. In this time as a group we moved 6 places up the World rankings and Abi and her family can be exceptionally proud of what she has achieved as both a player and a Captain. Making the lifestyle choices you must to be an International Hockey player in a part-time programme such as ours is a demanding thing to do for a short space of time, let alone for the years of commitment Abi has shown. I am sure all staff and players both past and present will join me in thanking Abi for all she has done for Hockey in Wales and celebrate all her achievements and contributions in this time”. “I will look forward to having a bit more time and money to do other things. What that will be I don’t know exactly now, but I know I’ll stay active and try out some other sports…but probably ones that are indoors in the winter! I will continue to play for Swansea Spartans, so I won’t finish playing hockey completely”.